Well, now that this gift has been received, I can add one more Christmas craft. One of my favorite Christmas traditions as a kid was the advent calendar that a family friend filled with presents each year. 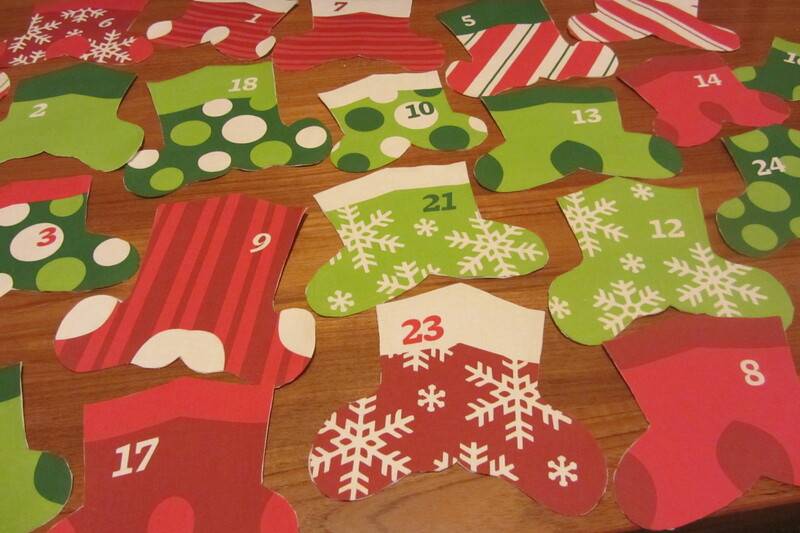 I’ve been thinking of various ideas of advent calendars to make for my nephew. 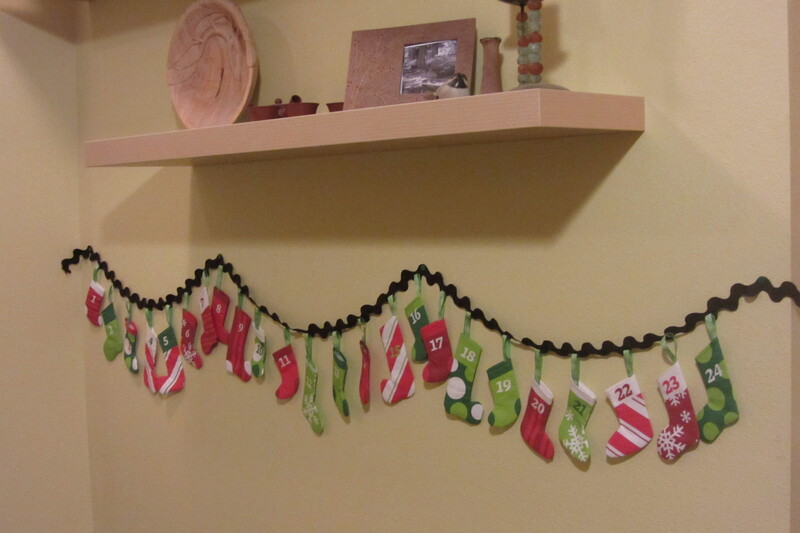 I finally settled on mini-stockings! But how to make them? I was going to buy fabric and find stocking patterns, but then I found the perfect head start. This great fabric from Spoonflower – even the colors and patterns are exactly what I was planning on! 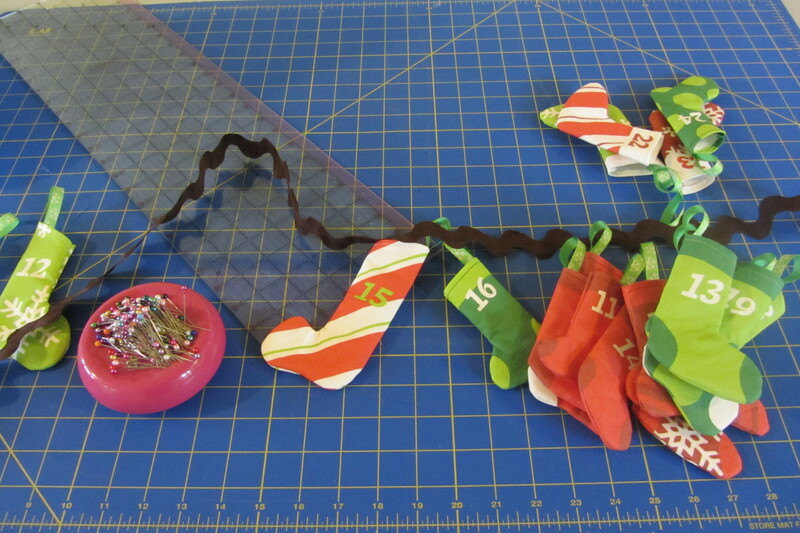 I cut out all the cute little stockings and sewed them up (turning them right side out was the hardest part, and quite a finger workout). After some hunting, I settled on giant brown rickrack to string them on. 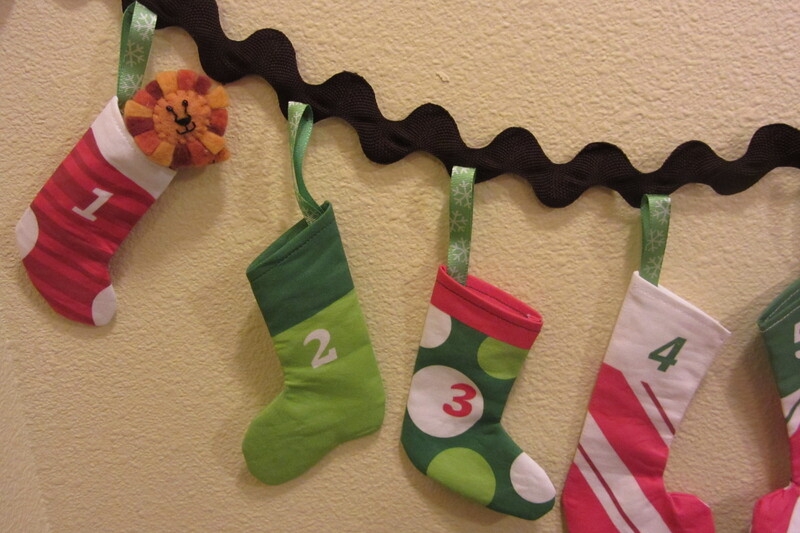 Ta da, a super cute stocking, advent garland! Since my nephew is only 1, it didn’t seem like the right time to fill the stocking with tiny ‘stuff’ so instead I found a little felt lion ornament that they can move down the garland each day until he gets to become an ornament on the tree on Christmas day! Wow, it’s been forever since I’ve posted anything. 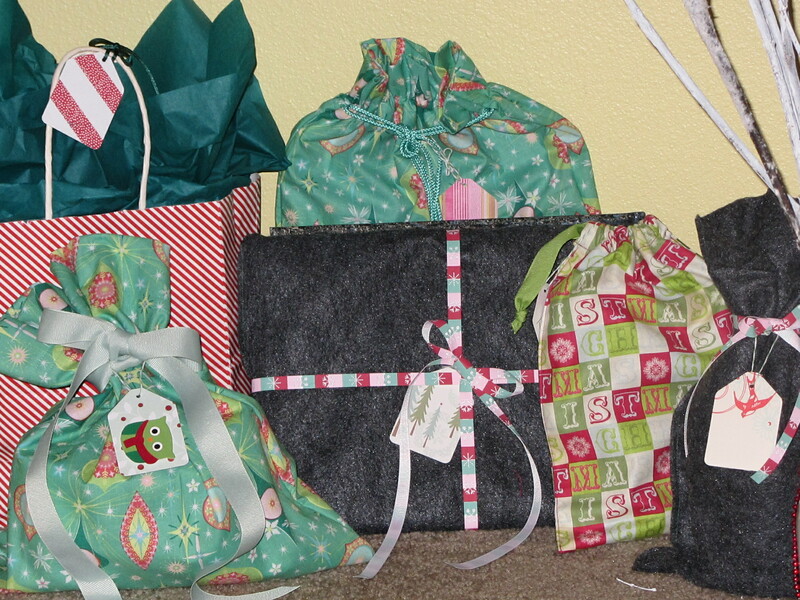 Life definitely got away from me there for awhile, but I have been busily crafting & sewing for the past month or so. The trouble… they’re all Christmas presents that I can’t really post until after the holidays. So here’s my compromise: today I sewed my heart out making cute little gift bags for all the presents (I’m going to do my best to avoid disposable wrapping this year). 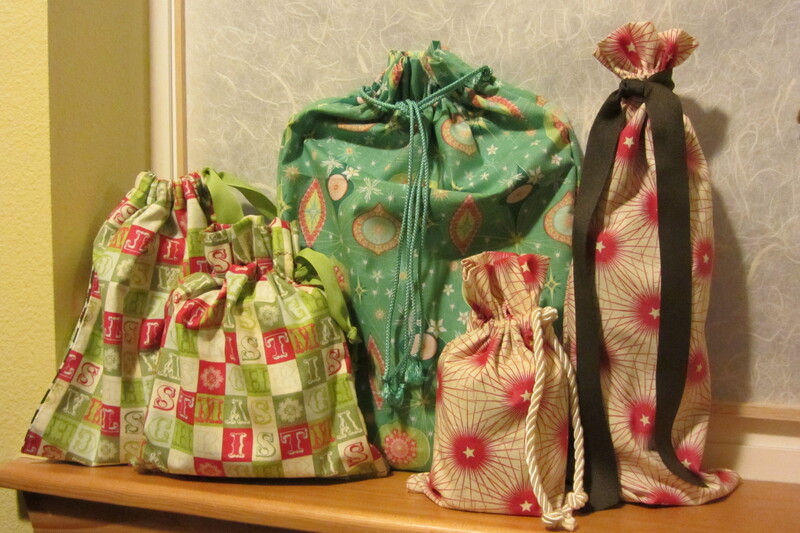 I was planning to try a few different styles, but these lined drawstring bags were just too simple, and pretty cute too, so I got in the groove and kept going.